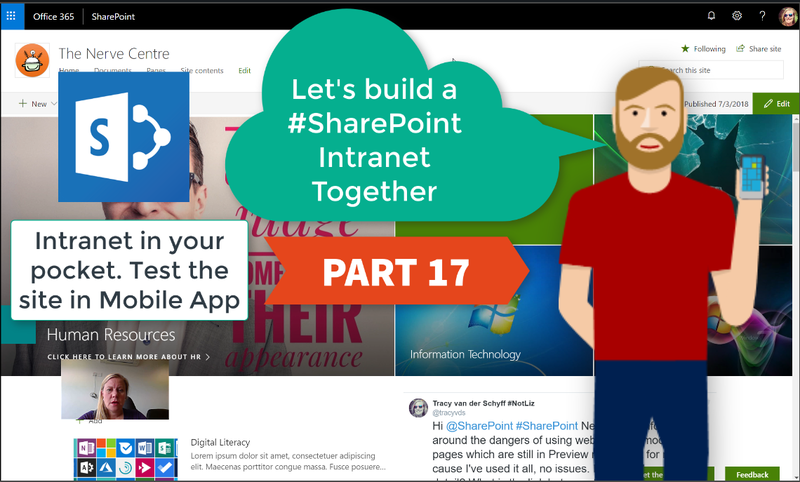 Your #Intranet is taking great form!! Let’s take a look at what this looks like in the mobile app. This is very important as you’ll see how the web parts wrap on the page, and might influence you into making other decisions around the placement of web parts. The mobile apps also has the News, People and Me section which gives your more information about announcements, the people you work with and the content you work with.